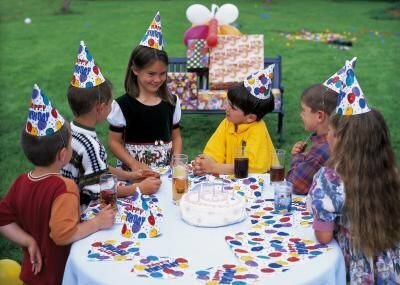 Planning a 4-year-old girl's birthday party need not be stressful or expensive. Select an approach that your 4-year-old will like and that fits her personality. 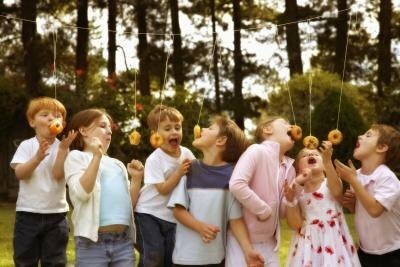 A very active child might like something outdoors with a lot of play, while a quieter child might like a small, simple gathering with friends. 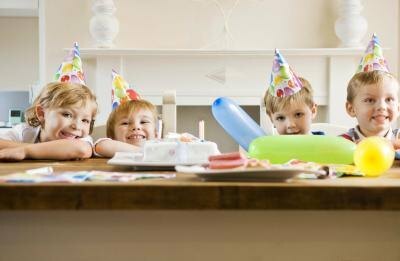 Plan a fun birthday party for your 4-year-old girl. Choose a theme based on the birthday girl's favorite things. For instance, if your daughter loves the story of Peter Pan or wants to grow up to be an astronaut, then a Peter Pan or space themed birthday party would work well. Incorporate the theme into everything from the decorations to the cake and the entertainment. 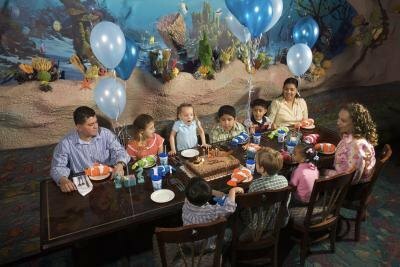 Many restaurants offer parents the opportunity to book a room or the entire restaurant to host a birthday party. Choose a restaurant that would be appropriate for a four year old girl, such as a place that has an outdoor play area or even outdoor tables you could use in clear weather. If your 4-year-old girl has a favorite place, like the zoo, consider hosting your party at a public area of the zoo. Hand out a gift to each child that attends, like a tiger striped bracelet or tiny stuffed animal toys. A fun birthday party for a four year old girl could include a silly costumed character. Some favorites with little girls include Snoopy or Clifford the Big Red Dog. It is important to reserve a costume well in advance of the date of the party to ensure that it is available to you. As an alternative to renting a costume and forcing one of you older children to play the role, consider hiring a professional entertainer for you little girl's party. Choose one or more games for birthday party guests to play. A 4-year-old girl and her friends will love the old standards like Pin the Tail on the Donkey or Simon Says, or you could do something more energetic like hanging up a candy or toy filled pinata for the children to take a whack at. The birthday girl herself should get the first go at it. Whatever game you choose, make sure it is appropriate for a 4-year-old and the other children at the party.